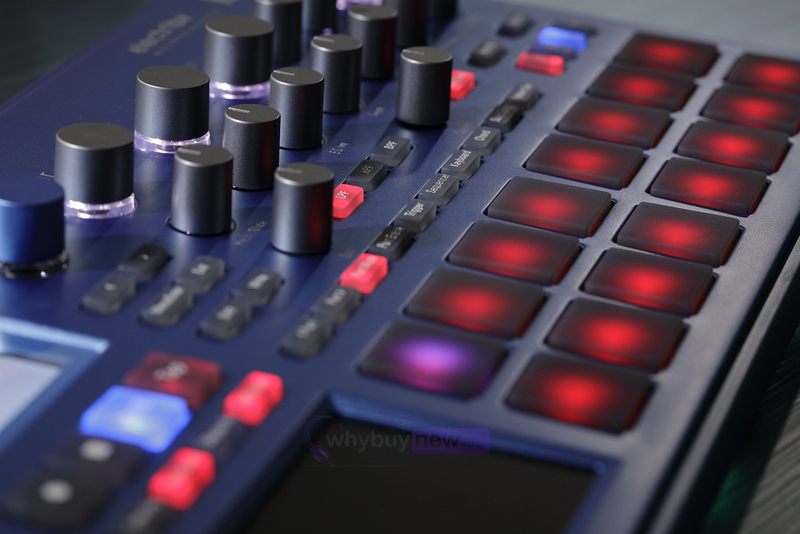 The Korg Electribe EMX2 Blue is a synthesiser-based music production station which is the fastest and most intuitive way to make beats. 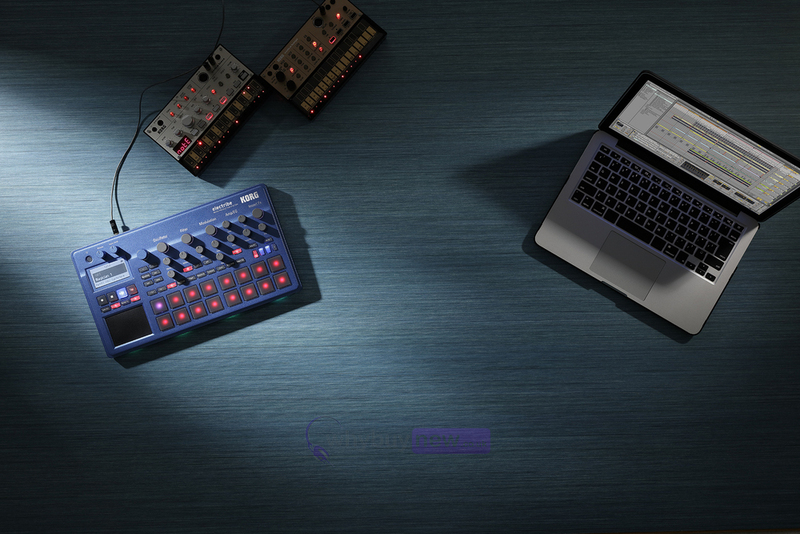 The EMX2 features over 200 bonus downloadable patterns and a variety of analog modeling sound engines. 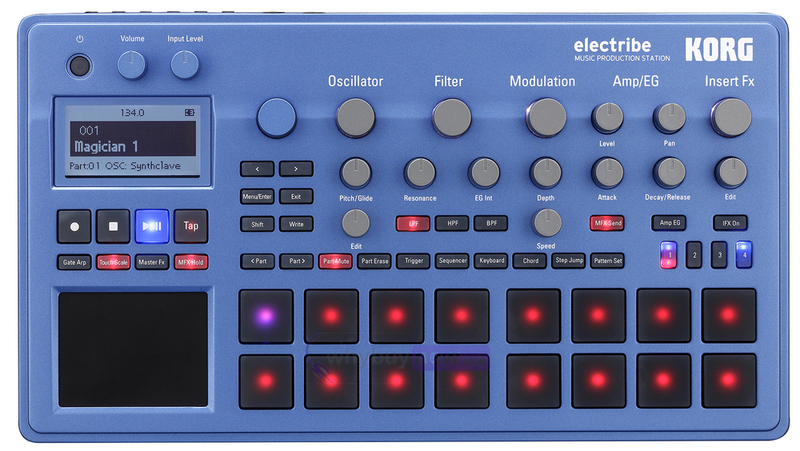 Following the chic grey unit, the lineup has been joined by a metallic blue model that's reminiscent of the previous model, the ELECTRIBE MX. Complemented by the numerous colourfully illuminated LEDs, this unit will energise your playing. 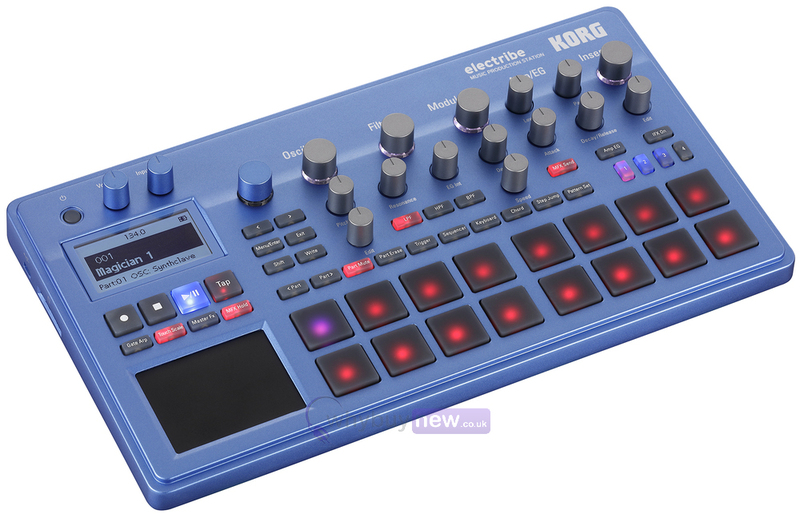 Since there's a sync jack for easy connection to KORG's groove machines, you can connect the electribe to your electribe sampler, volca series unit, or SQ-1 for playback sessions that are synchronized with your sequencer. MIDI connectors are also provided for inter-operation with your DAW. By adding the electribe's performance to your laptop-based stage setup, you can take advantage of even greater performance possibilities. The electribe is also equipped with an audio in jack. By connecting an external device and selecting the "Audio In" oscillator, you can use the filter or effect to process the external audio input, or energize your performance by using the step sequencer to turn the output on/off. In the past, machine-centric live setups required numerous synthesizers, samplers, and sequencers. 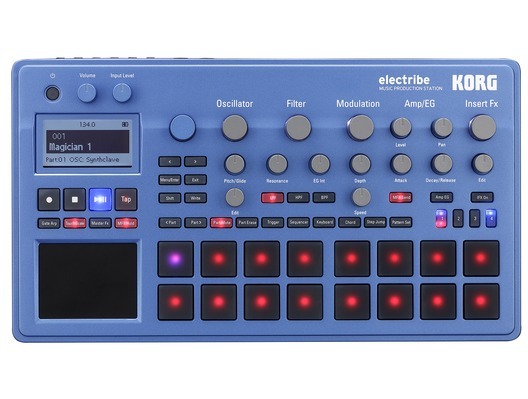 Today, the electribe can function in a variety of roles, either as the master device at the center of such a setup, or as a slave device that adds sparkle to the performance. Experiment with connecting different instruments to create your very own live setup.